← Oh, you’re going to be a problem. It’s common for some mail-order chicken breeders to throw a thirteenth chick in with every dozen order, and it tends to be something a bit oddball. In this case it was that one there, and for once it’s a hen. She is by far the most shy of the bunch, to the point where sometimes even the leghorns pick on her. She mostly hangs out in the corner; for several months I even fed her separately from time to time though I never saw her driven away from the feeder. I was told to watch for blue eggs, and sure enough today we got a blue egg. Neighbor L cares about that, so it looks like Oddball Girl just started paying her way. Probably an Aranacuna, good for you. 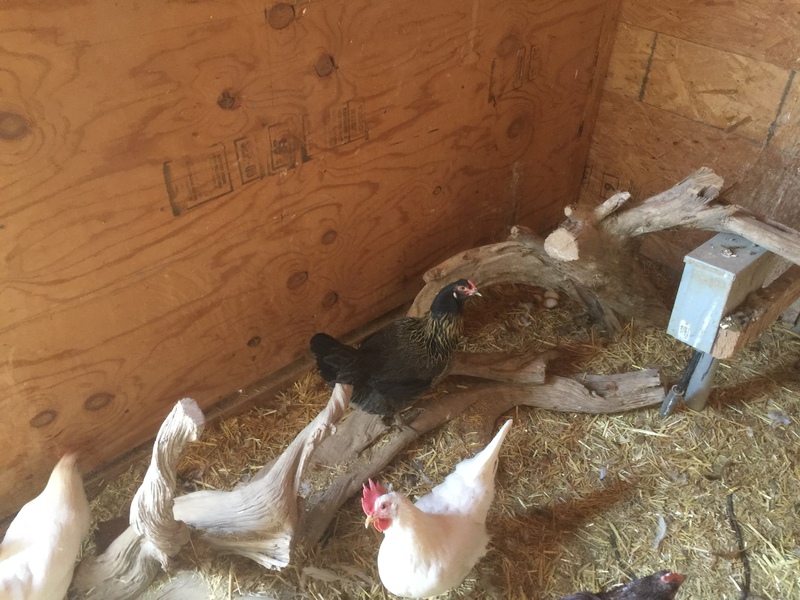 Hopefully she’s not your problem pullet? No, that’s one of the Leghorns. Does the blue egg make any difference in the taste of the egg? 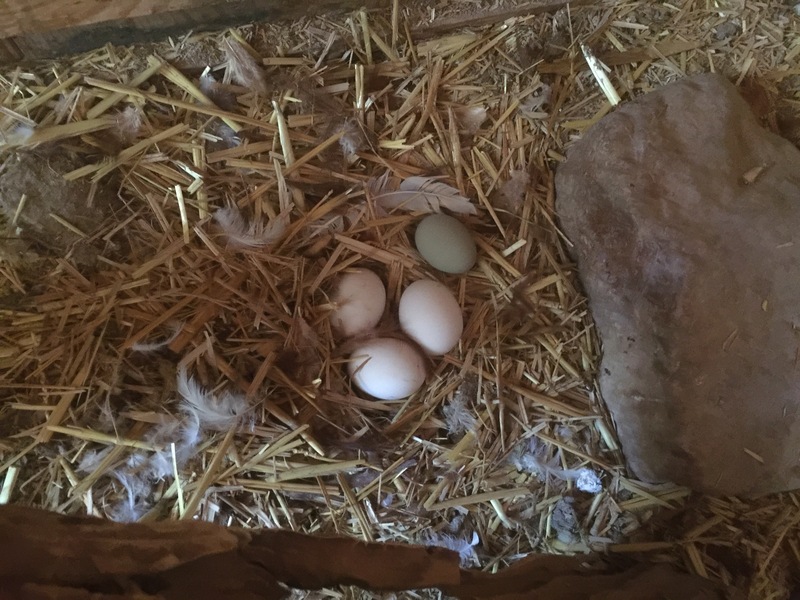 Heltau – I had few hens that laid blue eggs. The eggs tasted the same but didn’t store as long as the brown or white ones. So I made sure I always cooked the blue ones first. The blue eggs were smaller than the brown or white ones and I never got double yolks with them either, come to think of it. Back in my chicken owning days I had Aracaunas that laid blue green eggs. Best layers of the lot. Had Rhode Island Reds, Barred Rocks, Leghorns, Bantams, and by far the Aracaunas were the best most consistent layers. I think you’ll like your new oddball.